Landmark court case paved way for Japanese immigrants to own and lease land. In 1952, Sei Fujii, lawyer, civil rights activist and newspaper publisher, stood before the California Supreme Court to challenge against the Alien Land Law of 1913. Through skillful argument and mastery of the law, Fujii played a vital role in successfully overturning this unconstitutional law, which violated the “equal protection of the laws” provisions of the 14th Amendment. Photo of Sei Fujii from the USC School of Law Class of 1911 album. The court’s decision was rendered on April 17, 1952. By winning his case, Issei Japanese immigrants could now legally own and lease land in the state of California. The significance of this decision cannot be denied. To commemorate this day, the 65th anniversary of the Fujii decision, the Little Tokyo Historical Society (LTHS) and the Japanese American Bar Association have petitioned the Supreme Court of California to declare posthumous admission for Fujii to the State Bar. A film about Fujii entitled “Lil Tokyo Reporter,” directed by Jeffrey Gee Chin, executive produced by Fumiko Carole Fujita, and supported by LTHS, visually underscores this message and has been widely seen in the Japanese American communities. 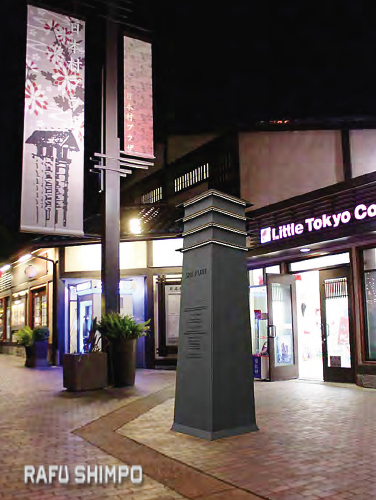 Efforts to share Fujii’s strife have continued with the addition of the Sei Fujii Memorial Lantern in Little Tokyo, L.A. City Historic-Cultural Monument designation of the former Japanese Hospital building in Boyle Heights, the publication of an upcoming biography, and most recently, this petition. Attorneys at McGuireWoods collaborated with the LTHS members Jeffrey Gee Chin and Lindsey Sugimoto who helped draft the early narrative. Born in Yamaguchi Prefecture in 1882, as the eldest son, Fujii immigrated to the U.S. in 1903 to seek his future. He was an intelligent young man. His family recognized his gift and generously gave him money to pay for passage to the U.S.
Fujii attended and graduated from USC Law School in 1911, but he was denied admission to the State Bar and a license to practice law because he was not, nor could he become, a naturalized U.S. citizen. After his graduation, Fujii sought the assistance of a fellow USC law school graduate, J. Marion Wright (Class of 1913), who could legally do what Fujii himself could not do. Wright was the grandson of an immigrant and thus, sympathetic to the problems facing the Japanese on the West Coast. The two would partner together serving the Japanese community for the next four decades. Fujii was determined to legally challenge the Alien Land Law; and he waited for the best opening in California’s social and legal climates to change. Fujii provided invaluable advice to the Japanese community through his English/Japanese language newspaper, The Kashu Mainichi, and his radio show. He advised the Issei to purchase property and own businesses in the names of their Nisei children, as a way to circumvent the restrictions of the Alien Land Laws. These children were full citizens and entitled to rights that were denied to their parents. In this way, the Japanese community could experience economic gain and use the law as it was written to prosper and grow economically. Fujii’s first step, with Wright’s assistance, was the battle to assist Japanese physicians to establish and incorporate a hospital for the Japanese American community in Boyle Heights. Japanese physicians did not have privileges at mainstream hospitals and could not admit their patients to these facilities. In 1918, the year of the great flu epidemic, this restriction had resulted in many deaths. Creative and relentless, they aided five alien Japanese physicians to file “articles of incorporation to form a corporation to lease land for a new hospital to serve the Japanese community.” First denied by the California secretary of state, they won this two-year battle in a case entitled Jordan v. Tashiro (1928). The Japanese Hospital was built with more than $100,000 raised by the community right before the financially devastating stock market crash. Fujii and Wright fought to stop the State of California from escheating real property previously held by persons of Japanese ancestry. In the case of Oyama v. California (1948), land that was owned and farmed by the Oyama family and held in the name of a minor son born in the U.S. had been escheated by the state. The U.S. Supreme Court, overturning a previous decision by the California Supreme Court, asserted that it was unconstitutional “to take property from Oyama’s son who was a U.S. citizen by birth,” and in another case, Takahashi v. Fish and Game Commission (1948), overturned the denial of a fishing license to a Japanese fisherman by the California Supreme Court. This opened the door for Fujii to make the final major move in revoking the Alien Land Law. One month later, Fujii directly challenged the law by purchasing a lot and a house in unincorporated Los Angeles County in his own name although he was an alien and still not permitted to become a citizen. Faced with the previous decisions, the California courts ruled that the Alien Land Law “violated the due process and equal protection clauses of the Fourteenth Amendment.” The McCarran-Walter Act of 1952 repealed the “free white persons” immigration restriction. In 1954, the McCarran Act enabled citizenship for Japanese immigrants. Fujii became a naturalized U.S. citizen in 1954, only 51 days before his death. He dedicated 51 years of his life to helping the Japanese in the United States. A lantern in Little Tokyo’s Japanese Village Plaza was dedicated to community journalist and advocate Sei Fujii. “Even without a law license, Fujii devoted his life to challenging America to stand up to its highest ideals. He founded a bilingual newspaper — Kashu Mainichi (California Daily News) — to expose dark criminal activity within the Japanese community and was shot by gangsters, only to be saved at the Japanese Hospital he helped establish. “He started a radio program — KRKD — that celebrated the bright accomplishments of young Japanese Americans (Nisei) to bridge understanding between generations and with the larger English speaking community. He later helped found the Nisei Week Festival in Little Tokyo to promote understanding and commerce between Japanese and the larger community. “Together they defended Japanese farmers accused of selling contaminated produce, represented Japanese families facing devastating injuries and losses, and took on the legal challenges facing the Japanese community in California,” Kanazawa said. Submitted by Cindy Abrams, Little Tokyo Historical Society, with editorial assistance from Jeffrey Gee Chin, Fumiko Carole Fujita, Miya Iwataki and Yukio Kawaratani. Thank you for documenting this important chapter relating to Asian Exclusion Laws. Prior to WWII, seventy percent of vegetable and fruit growers in California were of Japanese decent. Unlike the Swallows of San Juan Capistrano that return each year – on March 19 (St. Joseph’s Day) – from their winter migration … we were the only Japanese family to return to southern Orange County after the war to re-establish farming (because we kept our farming equipment). Soon after EO 9066, Mr. Oyama, my father, and three other farming families got together … and, moved (“free evacuated”) to Cedar City, UT, avoiding incarceration. Sadly, the small family farms in America was slowly disappearing prior to WWII. For the JA farmers, EO 9066 only brought their fate sooner. I don’t think Mr. Fujii should be given a posthumous law license, though it is deserved many times over. Doing so would not help him nor his family. I, personally, don’t want the State of California to “make up” for their bad laws. It should also be remembered that Mr. Fujii was as successful as he was in spite of the State of California due to every degree of self determination that has been written. Yes, he has his story, but so do others that the State of California has wronged. Lets pass on their stories too. Government isn’t always right, though our politicians believe they are.